I was surprised to learn last year that Ballet Manila has opened in Fisher Mall. I remember seeing posters of Lisa Macuja near the mall advertising ballet lessons, but I never knew where it was exactly, I assumed it was at the village nearby. It's quite nice actually that they chose to have a studio in Fisher Mall because it can be more accessible to kids who wanted to learn ballet. So, when an opportunity came up for Kailee to try ballet in Ballet Manila, I immediately said yes. I made sure to buy Kailee her ballet shoes and leotards. It was sort of exciting to be honest, because Kailee has been interested with ballet because of her cousins. I was quite excited for her. 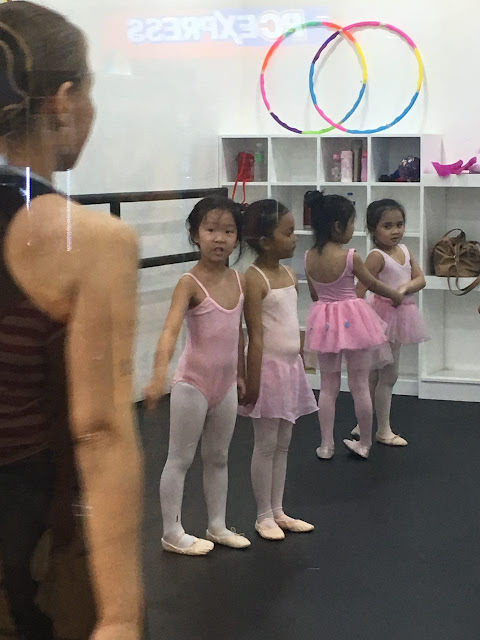 Honestly, it wasn't a priority to enroll her in ballet, but I'm glad that Kailee got the chance and was able to join the class and learn ballet at the studio of our country's prima ballerina, Ms. Lisa Macuja. During Kailee's first class, I was so critical of her. It was nice that there was a TV monitor where parents and guardians can watch the kids in their classes - uninterrupted. You know how parents and grandparents are, right? So I felt it was such a good idea (the monitor thing) since for sure, we'd be distractions to the kids ins class. So, as I watched Kailee follow Teacher Marivic, I was silently laughing to myself! I know, I'm so mean! (I'm sorry! Hahaha) It was because comparing her to the other girls in the class, Kailee looked really awkward in her movements. It was nice of Teacher Marivic to dote on her and correct her during that time. I felt that even if the class size was quite big, Teacher Marivic could still notice those who needed extra guidance. While observing Kailee on her first class, I felt so proud of her. She didn't cry, she wasn't shy when they were asked to partner up. She was very determined to follow Teacher Marivic and join the class activities. She was a very confident first timer. It looked as if she was having a difficult time following, but when I asked her after the class if she felt the class was hard, she just smiled and said, it wasn't - that she was learning. My heart was bursting with happiness with her answer - she liked the class. In the next classes, Kailee was becoming more confident and could follow more easily. She still needed practice but you can see her determination to catch up with the movement of the class. She would be conscious on how her movements looked in the mirror and she would correct certain moves without prompt. I can tell that Teacher Marivic had that effect on her, Kailee was becoming more determined as the classes progressed. Ballet Manila's studio in Fisher Mall is very nice, considering the location (in a Mall), they were able to maximize the space that they had. The layout was pretty basic, but well - I feel they did very well in terms of layout, which space goes where and the convenience of the reception area and waiting area. The place was clean and looked very well maintained, this is something that I really like. I'm quite maarte when it comes to cleanliness. It's very important for me that a studio is clean. On the walls of the studio's waiting and reception area, you'll see images of ballet students during classes, recitals and of course our prima ballerina - Lisa Macuja in action. The interiors are inviting, the ambiance is very warm, you'll feel right at home in Ballet Manila Fisher Mall. There was a mom there, who was very nice and reassuring. I think she saw me smile and laugh when I was looking at Kailee on the monitor. She told me not to worry as Kailee would be better as the days progressed. Her daughter too, she said looked every it of bit awkward at first, but as she attended classes (regularly) - her form became better and better. 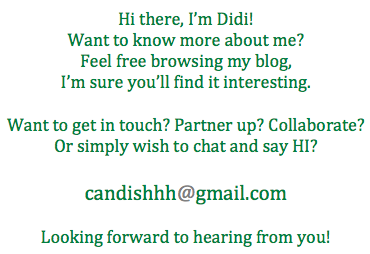 This made me feel more settled, thank you Mommy friend, I'm sorry I didn't get your name. Here are some of Kailee's videos from her classes in Ballet Manila. Thank you Ballet Manila for this opportunity, my Kailee enjoyed every class she attended and would gush on how much she enjoyed her classes with Teacher Marivic. Ballet Manila has two studios - one is in Pasay and another is in Fisher Mall, QC. Do visit their Ballet Manila's Facebook page for more details. *will post more videos later. my connection is wonky. Alpha Levo Energize The Crucial Free of charge Essential unsaturated fats The enormous renditions are delegated the omega 3s furthermore omega 6s The greater part of individuals discover a lot of omega 6 furthermore need to the supplement the omega 3s Bass gas furthermore flax seedling gas are generally two or three simple ways to deal with supplement o The intellectual capacities is mostly greasy tissue The garbage stuff applications the neurons cerebrum cells.